Increase the height of your tripod with the ET-02 Tripod Extension Tube from Sunwayfoto. 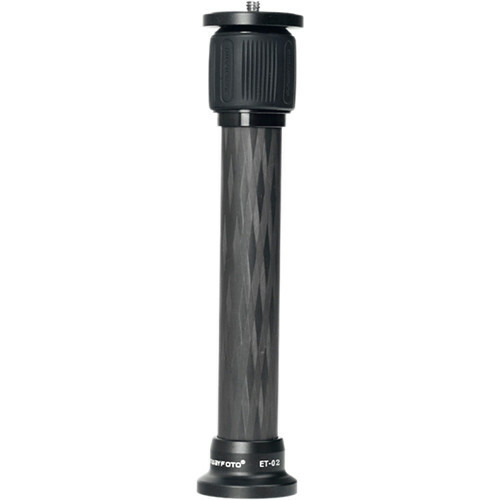 This extension tube screws onto your tripod plate's 1/4"-20 or 3/8"-16 screw to add up to 16.7" to its maximum height. Once you are done shooting, collapse the tube to 10" for simpler transport. 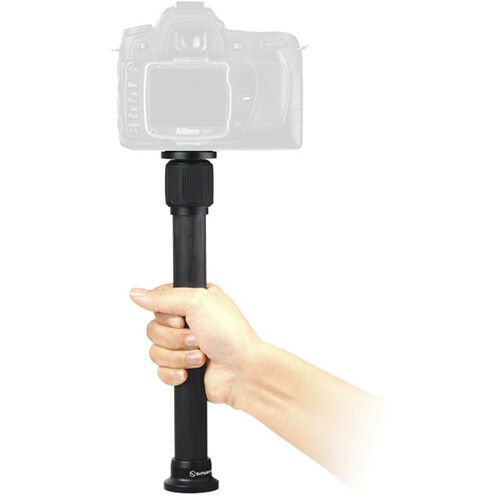 This 2-section tube is operated by a simple twist lock, and the mounting screw can be attached under the tripod head or directly into the camera. 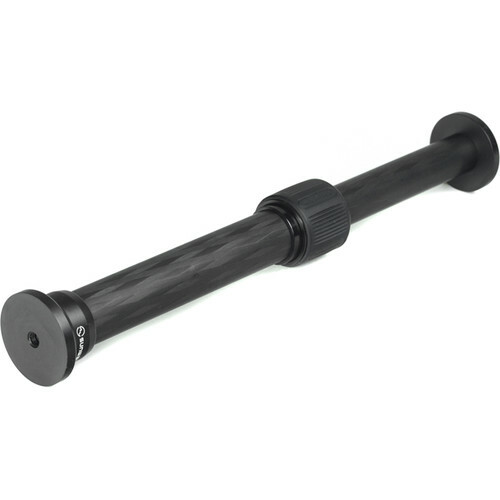 The tube is constructed of carbon fiber material, which makes it corrosion-resistant. This material also keeps the extension tube at a modest 5 ounces, making it easy to carry and use. 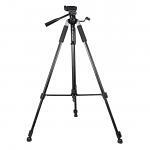 A load capacity of 22 lb and a 1.5" top plate diameter allow for a wide variety of camera equipment to be mounted. This extension tube comes with bushing adapters and will fit any tripod with a 1/4" or 3/8" mounting stud.